Designed for use in industrial and trade applications where repeated heavy use is common. They are ideal for scraping off adhesives, sealants and other unwanted substances from hard surfaces. Long handle for black industrial blades and all other scraperite blades. The new black industrial blade is tougher than ever. The blade is a hard rigid material with medium flexibility, high chemical resistance, and keeps its edge longer. This blade is the closest we could get to metal while maintaining the characteristics of the more forgiving plastic materials. 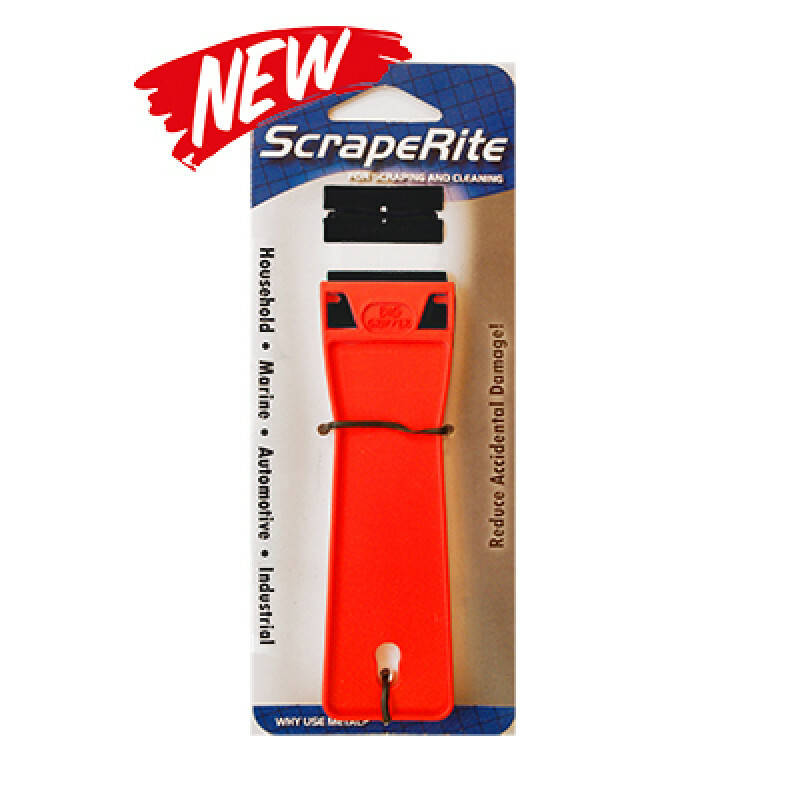 For those applications where metal is unnecessary or would cause damage, the new Black Industrial double-edged blades from Scraperite are an ideal choice. Designed for use in industrial and trade applications where repeated heavy use is common. They are ideal for scraping off adhesives, sealants and other unwanted substances from hard surfaces. A must have safety scraper tool for every professional’s toolbox.